This morning I was reading an article I saw on Facebook about things you should and shouldn't say to couples who are struggling with infertility. I've read a few articles like this but this one was written particularly well. Most of them have good things to say but some are written with a lot of bitterness. Trust me, I understand why a person struggling with infertility would be bitter. The problem is that most people don't understand the issue. I have to admit I used to be one of them. I don't think I ever said some of the things that have been said to me, but I never thought for a million years that I'd be the one that couldn't get pregnant. Anyway, I wish I could find that article I read this morning and I'd just share it, but that's not the point of this post. I recommend every one of you read something like it and try to understand the way we (as in those who struggle with infertility) feel. I'm sorry if you get one with lots of sarcasm and rude language, but see past it, and get the take home message. A little back story... I met Jenny (not her real name but I don't wanna keep saying "this woman" for my whole post. haha) when I moved into my new ward. She and I became friends because of a calling we had together. Every time I talked to her she made me feel like I was her best friend. She genuinely cared about what was going on in my life. We were also visiting teaching companions so I got to hear her bear her testimony quite often. It seemed that the messages she shared were more for me than they were for the person we were visiting. I've had visiting teachers in the past that were awesome but their messages were always just reading a quote or something rather superficial. Jenny always knew what to say and how to say it and how to make each message really matter. While this post has been about 1 friend in particular, there's one more that deserves honorable mention. I won't say her name either but she's been a strength to me as much as "Jenny." Her support has been different for me though. She also struggled with infertility and has since had a beautiful baby boy. She has been my symbol of hope through this whole thing and has always been there to share in my grief and my joy. She taught me to trust in the lord and His timing and to be happy in times of storm. What both these women did and continue to do is love me no matter what. They don't ask if babysitting is good birth control, or offer to give me one of their children. They never told me to just relax and it will happen when we least expect it. They just asked how I was doing and how they could help and I knew they would do whatever I asked. I will love them forever for that. 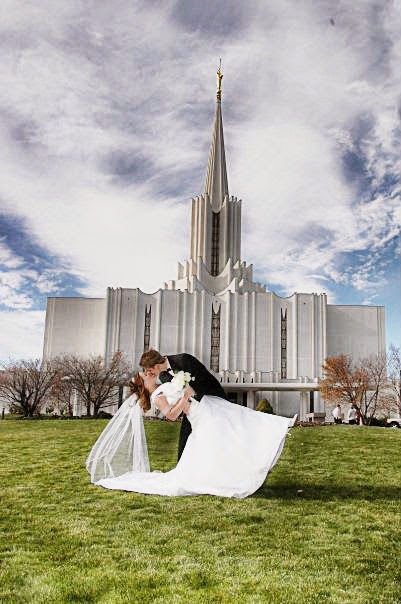 Justin and I at the Jordan River Temple on November 21, 2008, the day we were sealed for time and all eternity and started our amazing family. 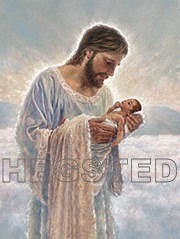 One of my favorite paintings by my dear friend Derek Hegsted of the savior holding a sweet little baby. A beautiful reminder that my children are safe in His hands and waiting to come to our family some day.